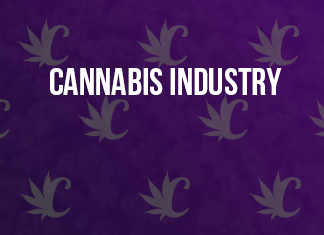 SAN MATEO, Calif., Feb. 08, 2019 (GLOBE NEWSWIRE) — Plus Products Inc. (CSE: PLUS) (OTCQB:PLPRF) (the “Company” or “PLUS™”) is pleased to announce its participation in the newly formed National Cannabis Roundtable (“NCR”), a campaign aimed at reforming federal cannabis laws. The NCR will focus on advocating for a rational legal framework for cannabis reform in the United States. Former Speaker of the House, John Boehner, will serve as Honorary Chairman. “As the cannabis industry grows and matures, it’s vital that we work together for a common-sense legal framework for cannabis policy,” Speaker Boehner said today. As membership grows, he says, NCR will be comprised of growers, processors, retailers, wellness centers, investors, entrepreneurs, and publicly traded companies. With strategic guidance from Speaker Boehner, NCR’s public policy team, which includes The Liaison Group, Squire Patton Boggs and HDMK Public Affairs, will advocate for a multi-faceted reform agenda:Remove federal restrictions that prohibit medical research involving cannabis. Encourage the development of solutions that will improve the lives of veterans and patients and combat the opioid epidemic in the United States. Tel +1 650.223.5478The CSE does not accept responsibility for the adequacy or accuracy of this release.Forward-Looking StatementsThis news release contains statements and information that, to the extent that they are not historical fact, constitute “forward-looking information” within the meaning of applicable securities legislation. Forward-looking information is based on the reasonable assumptions, estimates, analysis and opinions of management made in light of its experience and its perception of trends, current conditions and expected developments, as well as other factors that management believes to be relevant and reasonable in the circumstances at the date that such statements are made, but which may prove to be incorrect.Forward-looking information involves known and unknown risks, uncertainties and other factors that may cause the actual results, performance or achievements of the Company to differ materially from any future results, performance or achievements expressed or implied by the forward-looking information. Accordingly, readers should not place undue reliance on any such forward-looking information. Further, any forward-looking statement speaks only as of the date on which such statement is made. New factors emerge from time to time, and it is not possible for the Company’s management to predict all of such factors and to assess in advance the impact of each such factor on the Company’s business or the extent to which any factor, or combination of factors, may cause actual results to differ materially from those contained in any forward-looking statements. The Company does not undertake any obligation to update any forward-looking information to reflect information, events, results, circumstances or otherwise after the date hereof or to reflect the occurrence of unanticipated events, except as required by law including securities laws.